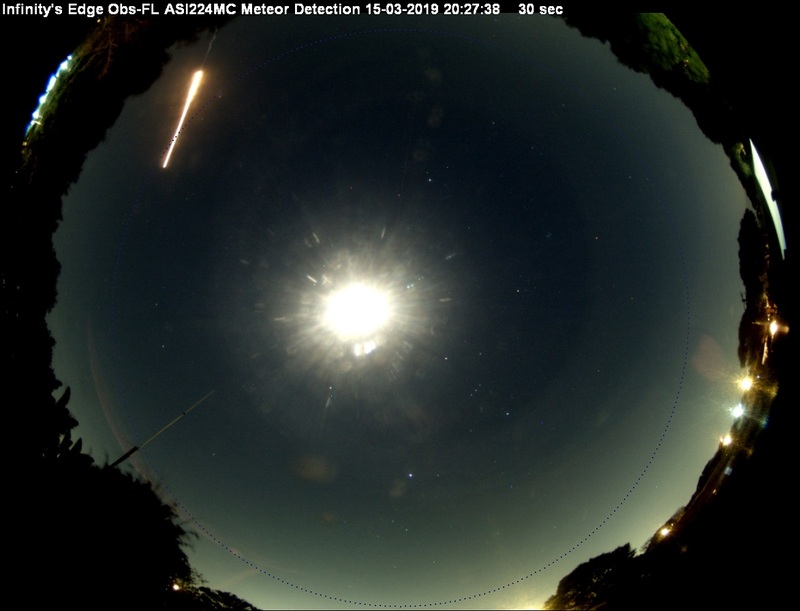 Thought I'd share an interesting image my All-Sky camera caught of the Delta IV launch from Cape Canaveral Air Force Station (CCAFS) on 15 March 2019. The moon is bright in the center.I am located about 23 miles as the crow flies from the launch site; so I am about 6 miles west of and 22 miles south of the launch site. The image is with south down. So it shows the Delta IV coming from the north the the south east. The launch azimuth was 93 degrees (from north). The payload was the WGS 10 communications satellite.